With thousands of living species to name, it is a tough task to demarcate the lizard habitat on the planet. 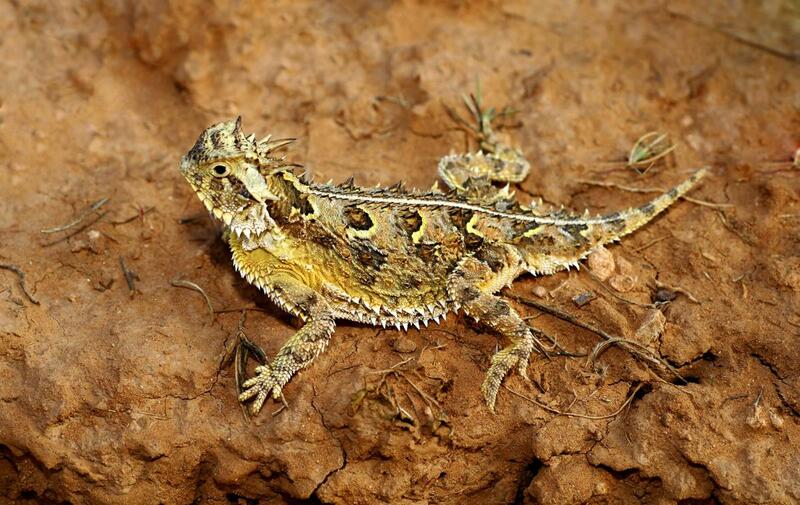 These reptiles are found in dense forests, vast prairies, marshy lands, rocky areas, and even in hot deserts where human habitation is virtually impossible. In 2013, researchers discovered four new species of legless lizards in California. Of these four, the yellow-bellied species was found in the dunes bordering the Los Angeles International Airport. Approximately 6000 species of lizards, ranging from the tiny Brookesia micra to the gigantic Komodo dragons, inhabit the planet. With so many species in existence, it's no surprise that it is very difficult to determine the geographical extent of their habitat. Basically, lizards are found all over the planet; only exceptions being the continent of Antarctica and some oceanic islands. Most people are of the opinion that lizards are restricted to deserts and arid areas; the belief might have something to do with the fact that lizards are cold-blooded animals and therefore, prefer warm areas. However, it's worth noting that there is no dearth of these reptiles in other habitats. In fact, the dense tropical forests have their fair share of lizards, including geckos and chameleons as well as legless species that you might have never heard of before. Deserts are typically characterized by the lack of precipitation, which results in barren land, unsuitable for human habitation. And yet, several lifeforms, including some species of lizards, inhabit these deserts by adapting to the harsh environment. 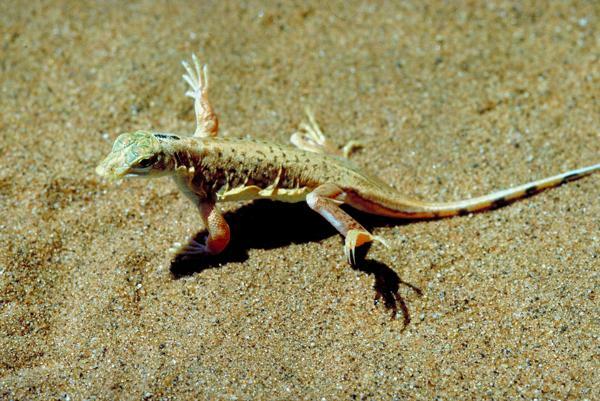 Some of the most prominent lizard species that are found in deserts include the Desert Iguana (Dipsosaurus dorsalis), Western Banded Gecko (Coleonyx variegatus), Zebra-tailed Lizard (Callisaurus draconoides), Mojave Black-collared Lizard (Crotaphytus bicinctores), Mojave Fringe-toed Lizard (Uma scoparia), Common Chuckwalla (Sauromalus ater), Gila monster (Heloderma suspectum), and Texas Horned Lizard (Phrynosoma cornutum). These lizards are found in various parts of the deserts―from rocky areas to sandy flats. These species have adapted themselves quite well to the harsh environment of these regions. While some species practice a nocturnal behavior to avoid the extreme temperature during the day, others stand on alternate limbs―right front limb and left back limb or left front limb and right back limb―for minimal contact with the hot ground. 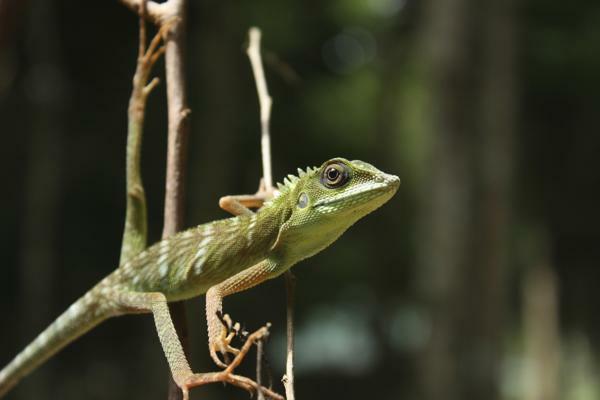 The tropical forests with their rich biodiversity are home to several lizard species including dragon lizards, geckos, chameleons, skinks, flying lizards, etc. Genus Calotes, native to South and Southeast Asia, has quite a few forest lizards to its credit, so does genus Bronchocela native to Asia. It's worth to see high levels of endemism in these forests. The Brown-patched Kangaroo Lizard (Otocryptis wiegmanni), for instance, is endemic to the wet forests of Sri Lanka, while the Indo-Chinese Flying Lizard (Draco indochinensis) is endemic to Southeast Asia. Most of these lizards are tree dwelling, owing to which their primary adaptation includes their appearance or coloration. 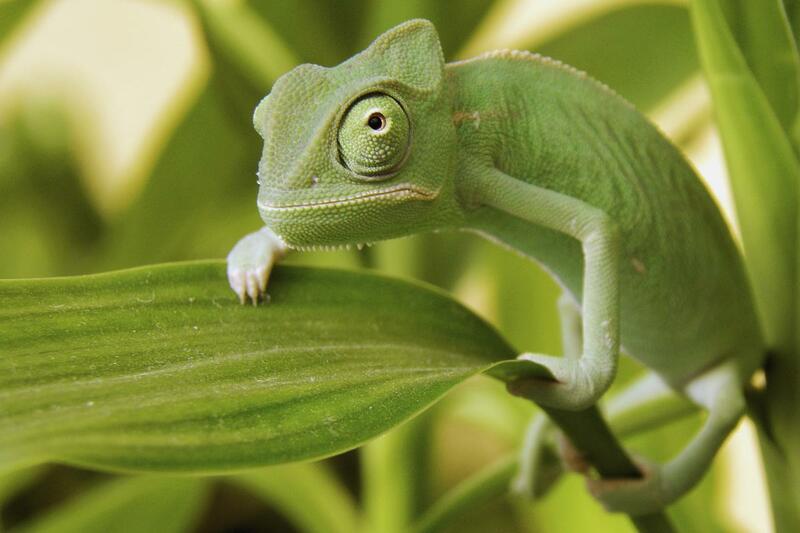 A large number of tree-dwelling lizards are green in color, which helps them to camouflage in the characteristic lush green environment of their native habitat. Though a large number of lizards are found in deserts and tropical forests, other regions of the world are also home to some of these reptiles. 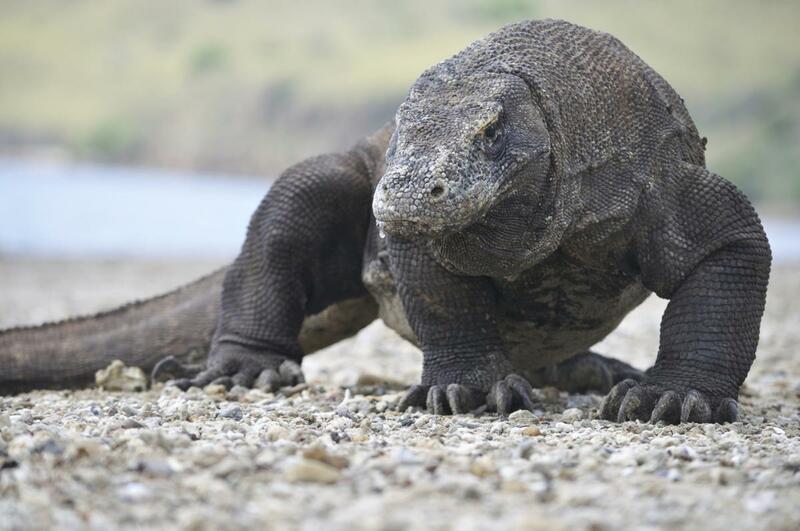 The 10-ft-long Komodo Dragon (Varanus komodoensis), for instance, is found on the volcanic Komodo Island, off-coast Indonesia. 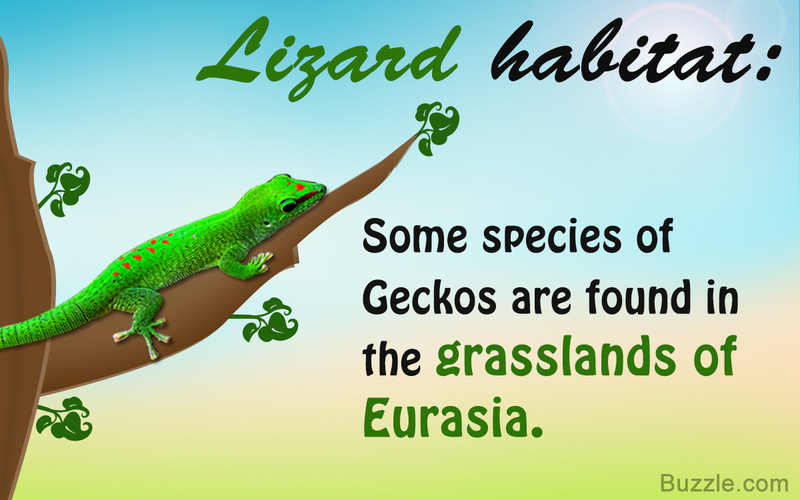 Similarly, some species of geckos are only found in the grasslands of Eurasia. 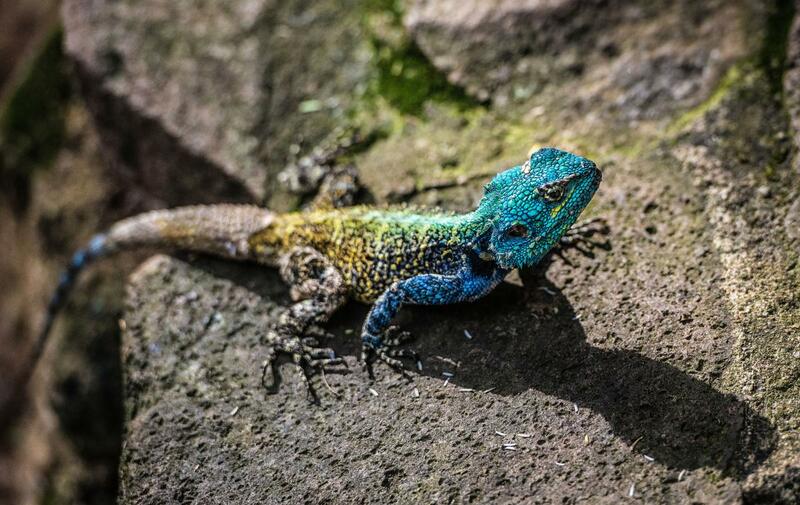 It may come as a surprise for many people, but lizards inhabit water sources as well. 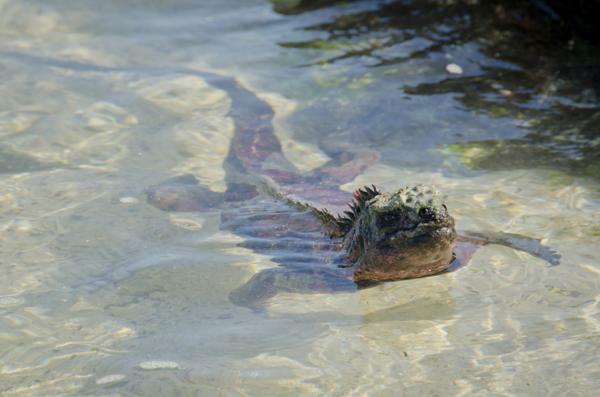 The best example of a water-dwelling species is the Marine Iguana (Amblyrhynchus cristatus) native to the Galapagos Islands in the Pacific. This iguanid doesn't just live in the vicinity of the sea, but is also dependent on it for food. Inhabiting the Earth for thousands of years, these reptiles have adapted themselves quite well to the areas where they are found. Their superior adaptation skills have helped them survive even today, while other creatures with whom they shared the planet thousands of years ago have become extinct.